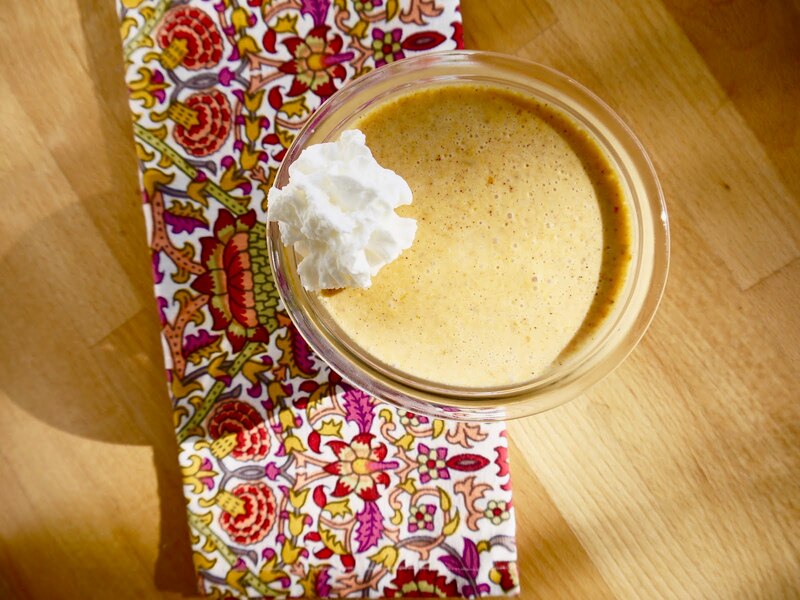 I don't know about you but my love for pumpkin desserts doesn't end with Thanksgiving. This recipe is a new twist on my classic Russian Cream. With pumpkin spices and creamy goodness, this one's certainly worthy of being a holiday dessert. Remove from heat and whisk in whipping cream. In a larger mixing bowl, mix pumpkin, sour cream and vanilla. Slowly add sugar-cream mixture and whisk to mix. Place in individual serving dishes and place in refrigerator for 3-4 hours or until solid (overnight works great). Using cauliflower as a substitute for potatoes is not a new concept. Cauliflower is more nutrient (vitamin, mineral, and fiber) dense and has fewer carbohydrates and calories. And the result when mashed is quite similar to it's starchy counterpart. If you're trying to make some healthy substitutions to your Thanksgiving dinner, this is a great place to start! Place the chopped cauliflower into a steamer over boiling water or broth and steam until soft, ~ 25 minutes. In a large food processor, combine yogurt and feta cheese and mix until whipped. 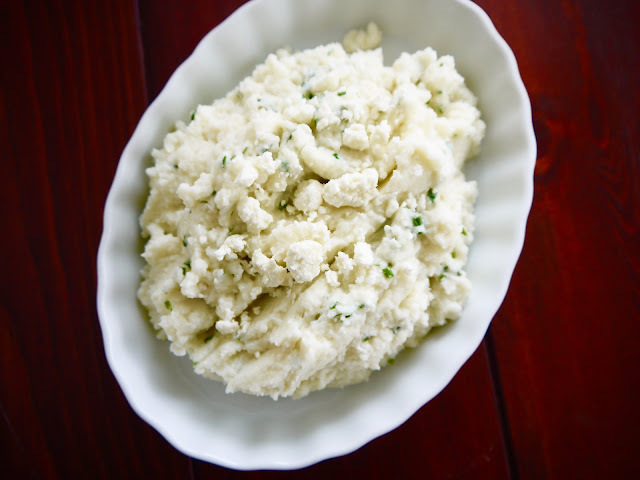 Add cooked cauliflower, salt, and pepper and mix until a smooth puree is formed. Transfer puree mixture into a bowl, and fold in fresh chives. Serve immediately, sprinkled with crumbled feta cheese if desired. Chopped salads are so appealing. Everything is a uniform size, making any mixture a bit more tantalizing. 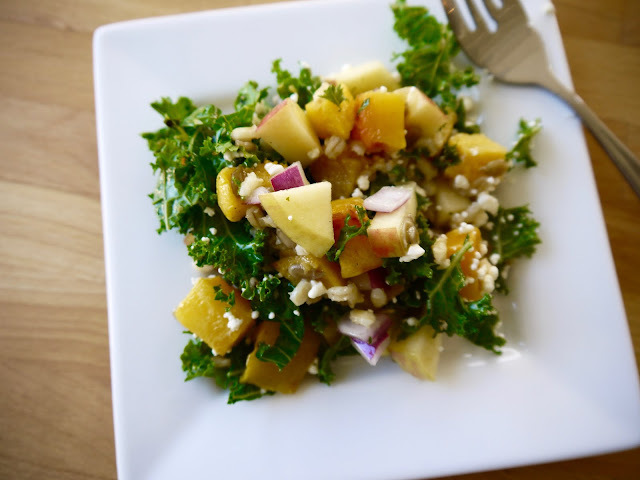 This chopped salad has all of the healthy fall favorites; a seed, a squash, a fruit, a grain, and a green. *In a saucepan bring 1 cup low sodium vegetable or chicken broth and 1/2 cup pearl barley to a boil. 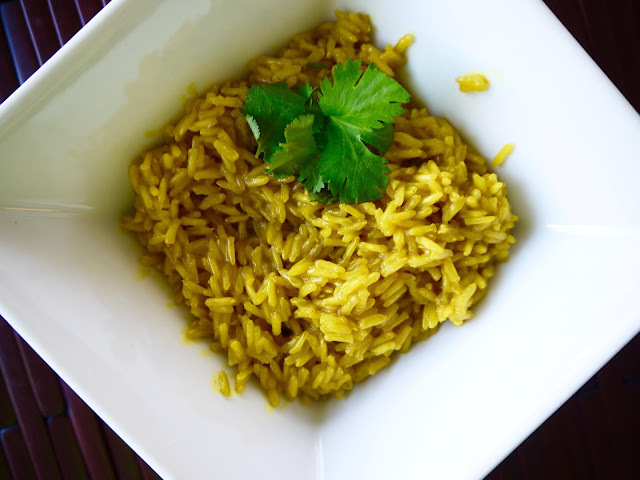 Reduce heat, then cook for 25-30 minutes or until all water is absorbed. Remove from heat, transfer to a bowl, and chill in the refrigerator prior to mixing with remaining salad ingredients. ** Preheat oven to 415 degrees. Place squash cubes onto a parchment-lined baking sheet. Spray with olive oil spray, then sprinkle with salt and ground black pepper. Bake for 8-10 minutes, or until softened and lightly golden. Allow to cool prior to mixing with remaining salad ingredients. Combine all salad ingredients, except for feta, in a large bowl. Toss to mix. Mix dressing ingredients in a small bowl, then pour over salad. Stir gently to coat. Toss salad with feta cheese prior to serving. 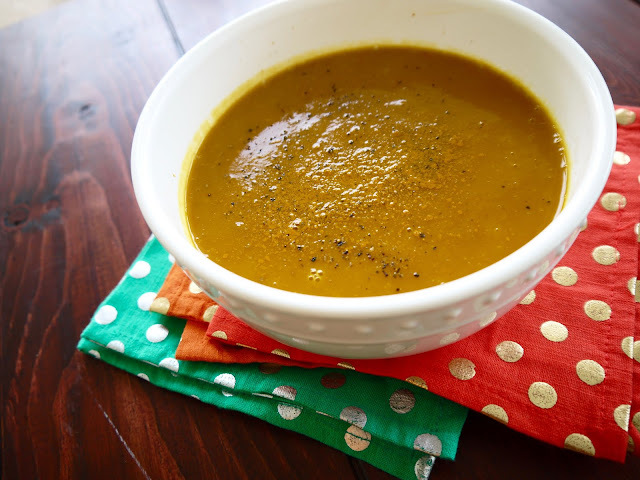 Gradually declining temps have you turning towards comfort foods? Start your day with a healthy breakfast and you may be less inclined to choose high calorie choices later in the day. I know it's on your mind. Fall is here-- time to indulge in some pumpkin. Pumpkin is naturally a flavorless, low fat, low calorie ingredient that you can use in place of butter or oil in most baked-good recipes. But when you mix it with cream and sugar.... that's where it can help you pack on the holiday pounds. 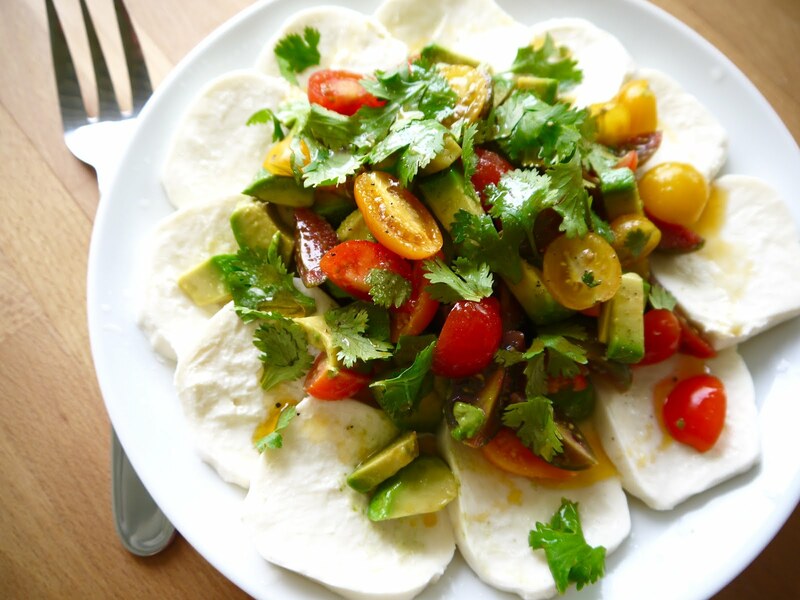 Give these healthier recipes a try! 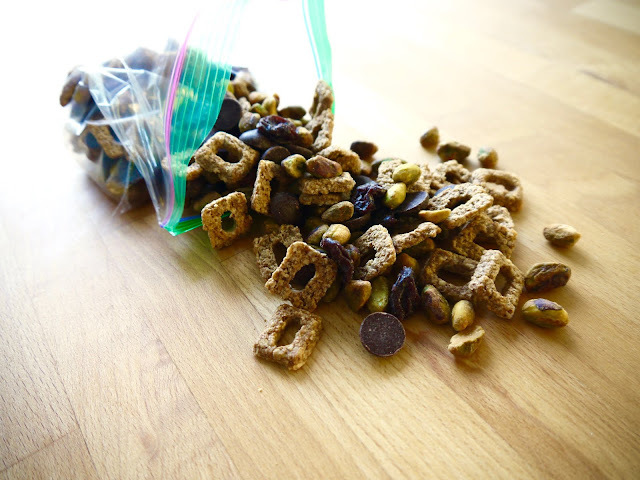 Wednesday, August 31st is National Trail Mix Day! This is a holiday that I can truly celebrate. Trail mix is a great way to get a good mix of macros to fuel your activities throughout the day. Nuts.com is having a contest, and I thought it would be fun to get in on the action. Here is my favorite combo! The salty-sweet mix is the best. You get lots of healthy fats from those nuts, and a nice fiber serving from the cereal and cherries. Any what's a trail mix without chocolate? 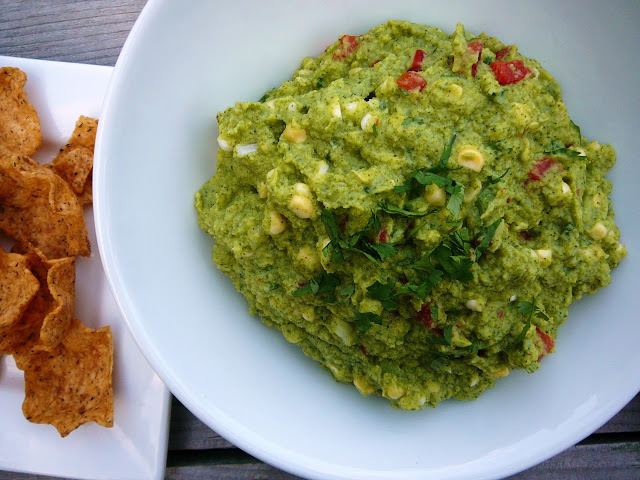 Combine all ingredients in a bag or bowl, toss to mix, and enjoy! 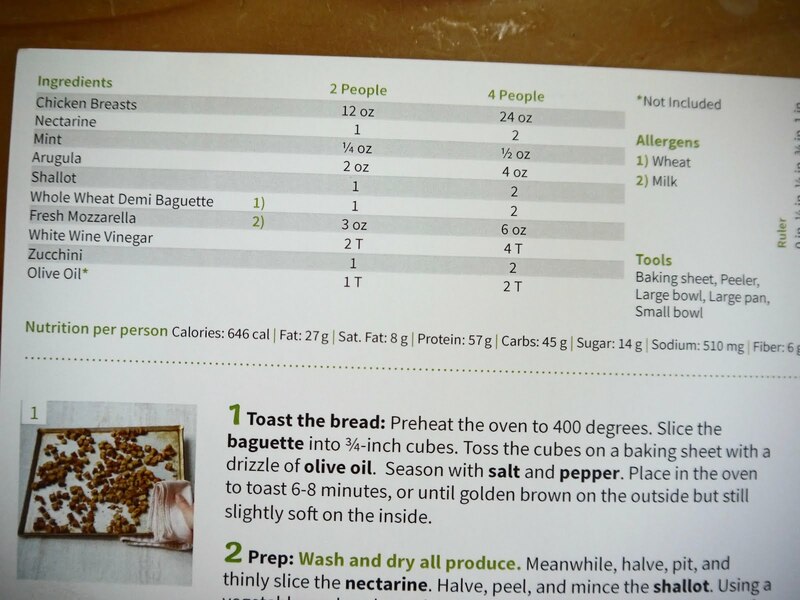 This is a recipe that I have had friends asking me to recreate for quite some time. I've hesitated, because I always try to invent my own recipes (I feel like this one has been done over and over by others). But I had some ready-to-use avocados so I gave it a whirl. I have quite a few clients coming to me seeking advice on how to gain weight. I like to encourage them to continue to eat healthy, but just choose more calorie-dense foods, like those high in healthy fats. 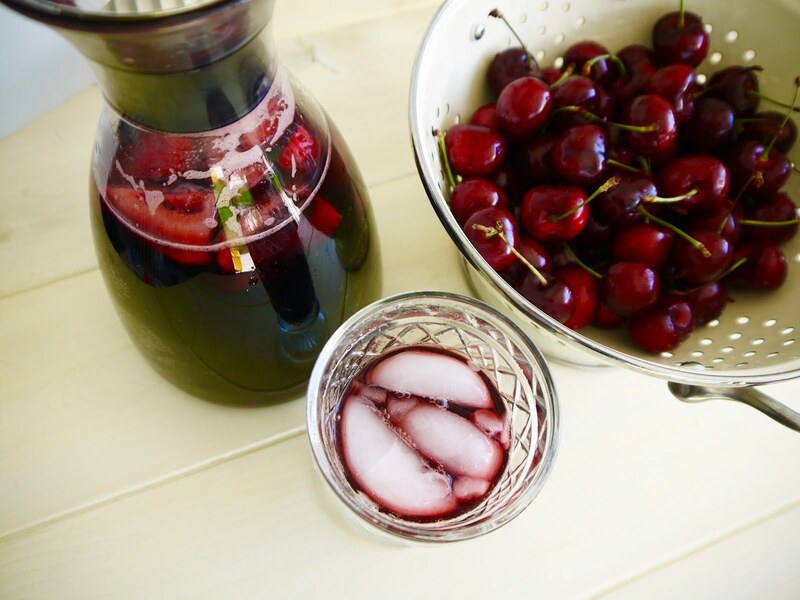 This recipe is perfect for that! 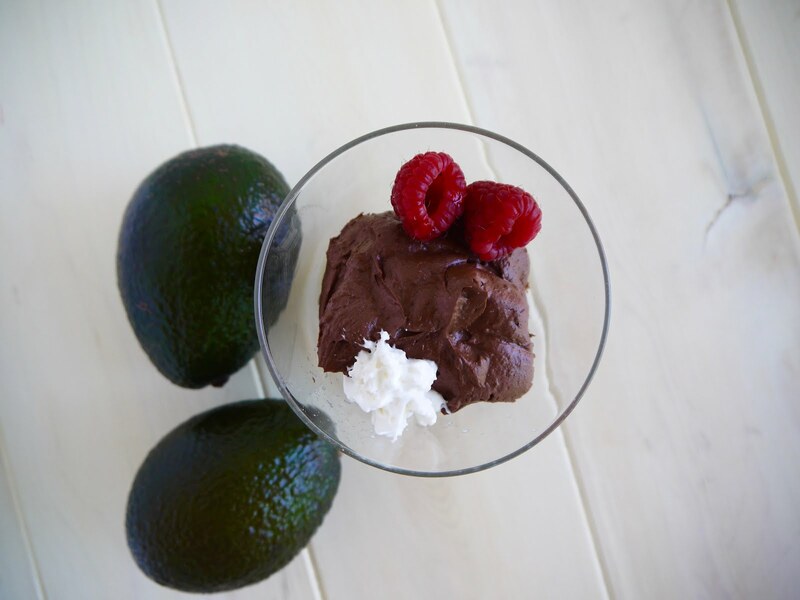 The avocados blend to create a very smooth consistency, which enhances the chocolatey flavor. And, as with my Mexican Chocolate Avocado Brownies, you never suspect that a healthy ingredient is actually responsible for all of that creamy goodness. **A ripe avocado will give into pressure from your finger at the stem. Avoid "squeezing" avocados- this may damage their flesh. 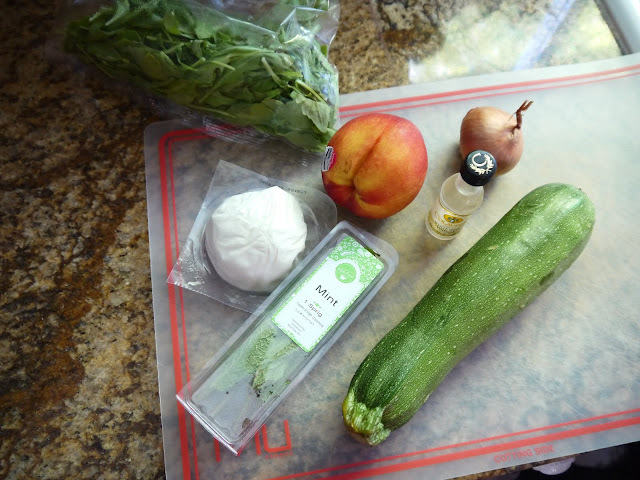 Place all ingredients into a large food processor. Mix until very smooth (several minutes). Spoon into four small ramekins or dishes and refrigerate for one hour prior to serving. Top with whipped cream, berries, or chopped nuts. I have had many patients asking about the recipe/ingredient delivery services that are now available. These companies provide you with fresh ingredients and recipes, as you request, to save you on the often time-consuming meal planning and shopping aspects of dinner preparation. 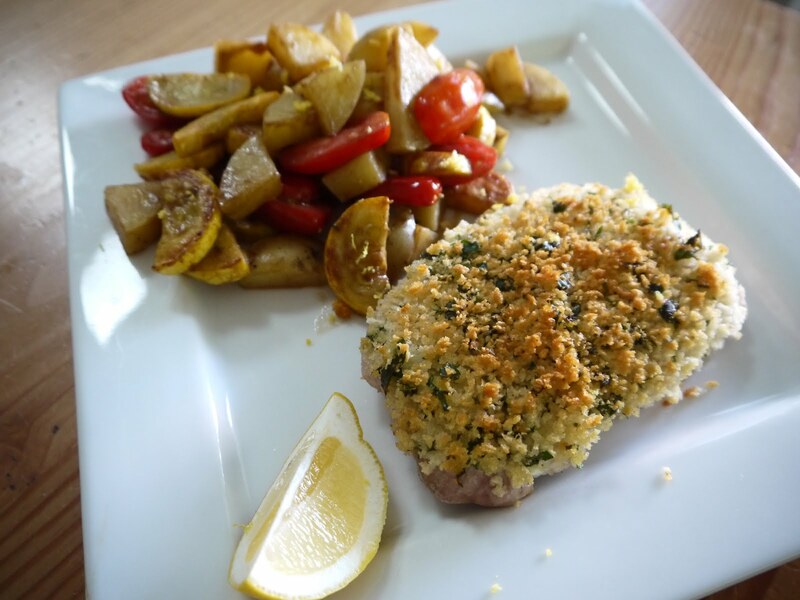 Companies such as Sun Basket, Blue Apron, Plated, and Hello Fresh are some of the popular choices, and last week I had the chance to try out three Hello Fresh recipes! The process is simple: You go to the company's website, choose the number of meals and number of servings for the week, peruse the recipes offered that week (along with the nutrition information), make your selections and choose your delivery date. The ingredients are overnighted to your doorstep, packed carefully with ice packs. My MIL was home with my kiddos when mine was delivered and she graciously unpacked for me- so I do not have a photo... but she assures me that everything was still very cold and well-packed. Each ingredients is measured out in the amount that the recipe calls for. You do need to be involved in the meal preparation process. You chop and prep the ingredients, and follow the steps that the recipes provide (with photos). Within 20-40 minutes (typically), you have a fresh meal! 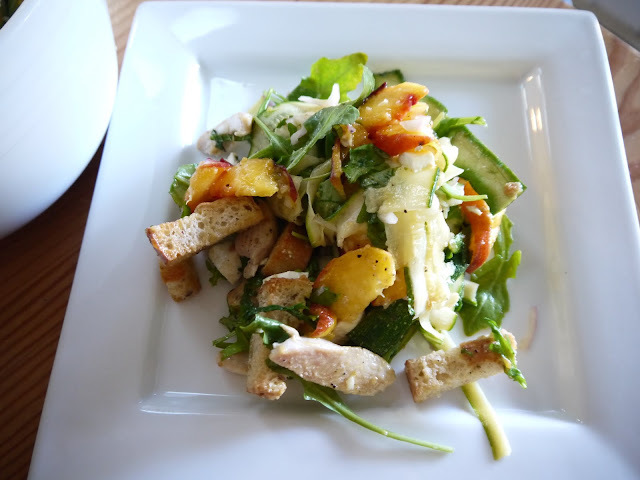 Last week my family and I enjoyed a Nectarine and Chicken Panzanella Salad, Pork Schnitzel (a first for me! ), and Chili Con Carne Meatballs. I prepared the first two, and my husband prepared the latter. 1. I typically enjoy planning dinners for the week and shopping for the ingredients. However, this trial came at a really great time when my schedule was crazy. I really enjoyed not having to stress about what was for dinner! 2. Trying NEW recipes. Even though I really want to prepare new things for my family, I do get stuck in a rut preparing the same things week after week. These recipes were a perfect way to break up the monotony. 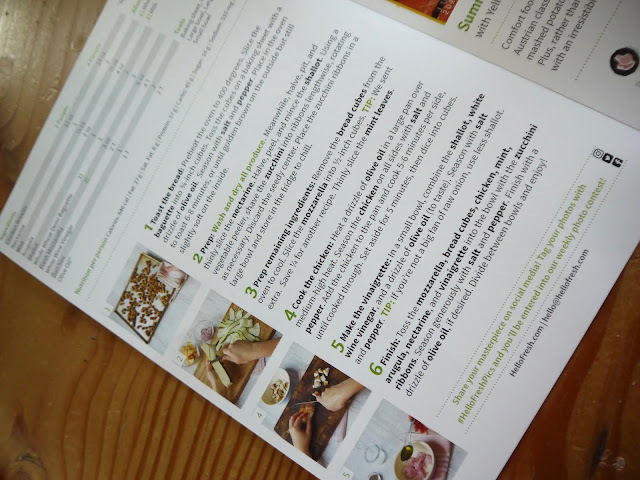 AND you get to keep the recipes (which tell you the amounts of ingredients used too) so that you could prepare them again (by purchasing the ingredients yourself). 3. The directions were straight forward and easy to follow. You do need basic kitchen gadgets, utensils and ingredient basics such as olive oil, salt, and pepper. And you do need basic food prep knowledge. But if you have those you are set! 4. The portion sizes were BIG. We had two servings in each meal. My hubby is an eater, and we like leftovers, so I typically make meals for 4-6 servings. I was afraid that there wouldn't be enough food. But I was surprised that we even had leftovers from the meals! 1. The calories were a bit high for a couple of the meals (600-700 calories per serving). If I had been planning those meals I would have likely make a few ingredients swaps and changed the portions of oils used, etc. to lower the calorie content. 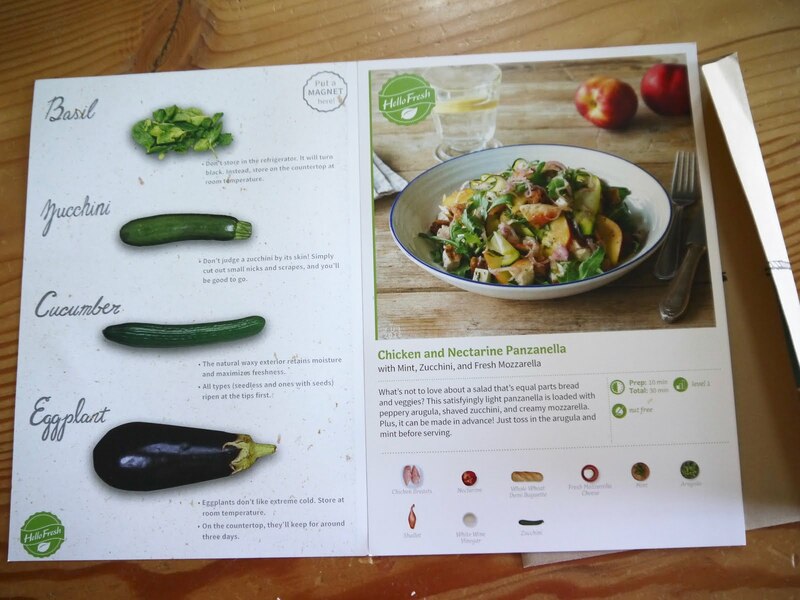 You CAN preview the nutrition information prior to ordering the meals, so if you are calorie-conscious you can choose lower calorie options for the week if needed. 2. The ingredients are not entirely organic or non-GMO (they will provide them if the choices are available however). I'm not saying that I purchase organic foods 100% of the time. But I know that some of my readers do try to, so I wanted to disclose this detail! 2. The cost per meal was similar to what we would pay to dine out ($10-12 per person). It's affordable, and shipping is free, but more than I pay when I am planning meals and purchasing my own ingredients. OVERALL I would recommend trying Hello Fresh, especially if you have a busy week coming up or if you want to break up the boredom a bit! 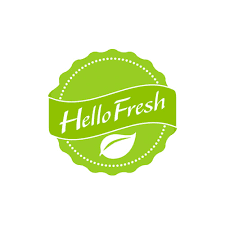 ** Hello Fresh graciously provided me with three complimentary meals to write this post. However, the opinions are my own and are not in any way driven by financial incentives. Have you seen powdered peanut butter? PB2 is one of the brands. Costco now carries another brand in a HUGE container (for only $7.99). It is dehydrated peanut butter (after the majority of the natural oils have been extracted). Soooooo it IS a processed food. And if you're familiar with this blog I'm typically not a fan of those things. But I've had a lot of patients using it so I wanted to give it a try. It contains 45 calories per 2 Tbsp and the same amount of protein as natural peanut butter, which contains 190 calories per 2 Tbsp (the calorie difference comes from the fat). No, fats are not a bad thing. But when you're trying to cut out a few calories for weight loss, this may be a product that you try. You can mix the powdered PB with water, per the package instructions, and form "peanut butter". However, I did not find that this was a very enjoyable concoction. It was gritty and did not spread well. So I started experimenting with mixing it dry into things. I LOVE it stirred into my steel cut oats in the morning. 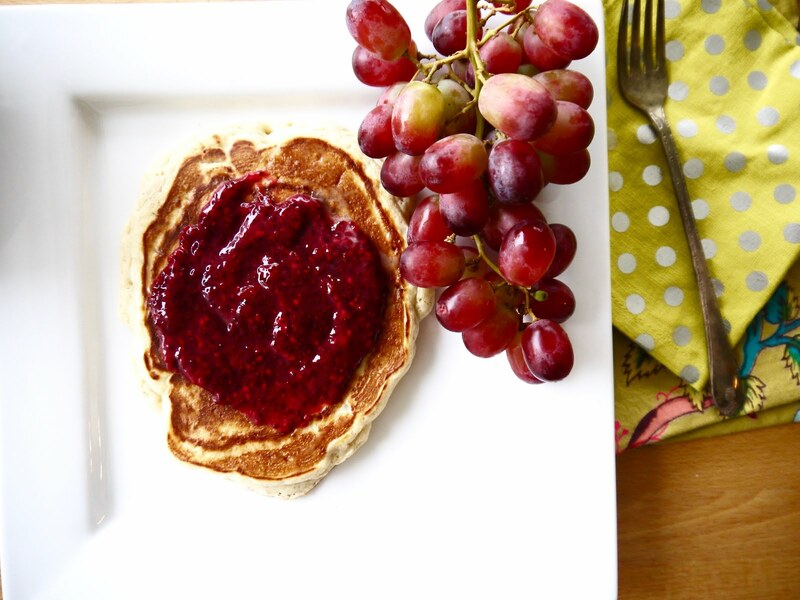 And it is delicious in these pancakes- and adds some protein! Combine egg, yogurt, peanut butter, and almond milk in a mixing bowl. Whisk to mix well. Combine dry ingredients in a separate bowl, then whisk dry ingredients into the wet mixture. Mix until just combined. Drop ~3-4 Tbsp batter onto a nonstick skillet heated over medium heat. Flip pancake when bubbles form on the pancake surface. Cook for additional 1-2 minutes. Repeat with all remaining batter. Keep cooked pancakes covered to keep warm until all pancakes are cooked. Serve immediately (or freeze for later in the week). 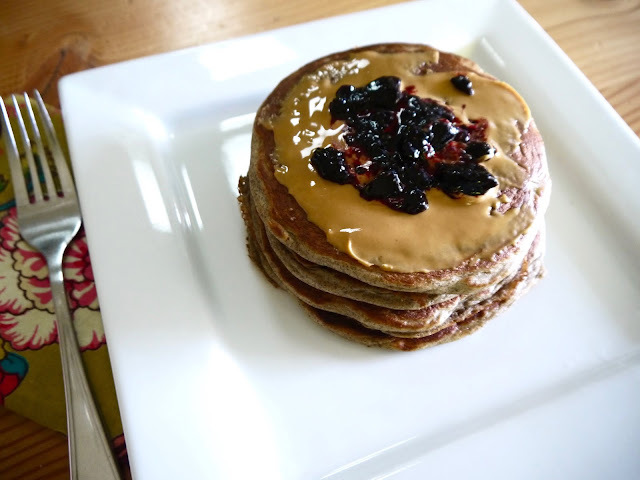 I topped mine with a small smear of peanut butter and homemade jelly. There has been such good press about the medium chain triglycerides in coconut lately that this hardly seems like it should be a 20. But with butter, processed flour, and sugar, alas, it is. Sigh. MCTs are not absorbed in the same way that other fats are in our bodies, and they are processed differently. Therefore, they will not likely increase your cholesterol in the same ways that other fats may. Check out more info here. I still say use moderation with coconut, as it is still high in saturated fats. However, the more research that comes out about the benefits, the more I turn into a believer! Preheat oven to 350 degrees. In a large mixing bowl, combine butter and sugars, and mix until smooth. Add eggs and vanilla and mix until incorporated. In a smaller bowl combine oats, flour, baking powder, baking soda, and salt. Add dry ingredients to butter mixture and mix until combined. Add 3/4 cup coconut and mix again. On a baking sheet lined with parchment paper, scoop 2 Tbsp cookie dough into small balls, leaving 2" in between each ball (the cookies do spread quite a bit). Top each ball with flakes of remaining coconut. Bake for 12-14 minutes, or until lightly brown around the edges. Remove from the oven and allow to cool for 3-4 minutes before transferring them to a rack to cool. In a small saucepan over medium heat, combine milk, flour, and sugar. Whisk as mixture comes to a low boil, then reduce heat to medium low. Continue to whisk until a smooth pudding is formed. Transfer mixture to a bowl and place in the refrigerator for 20-30 minutes to cool. When mixture is cooled, place butter into a mixing bowl and beat for 2 minutes. Add pudding mixture and lemon extract. Continue to mix until well combined and fluffy. 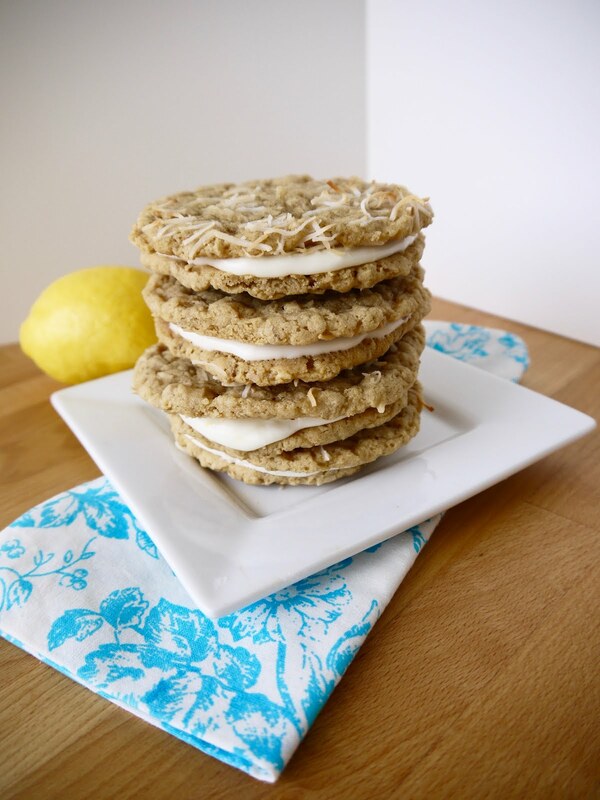 To make whoopie pies: Place 2 Tbsp frosting on a cookie, spread evenly and top with an additional cookie. Tea has a glorious history that spans thoughout the entire world. 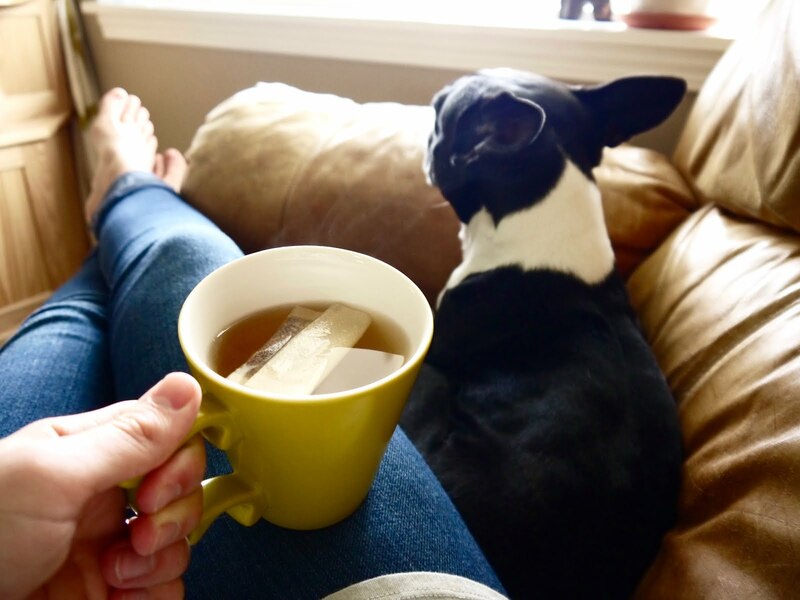 This soothing beverage does have medicinal purposes, and you can read up on this the latest research review in this fantastic article from Berkley. And now you can experience a large variety of teas from around the world with relatively no decision making on your end. Sound like your jam? 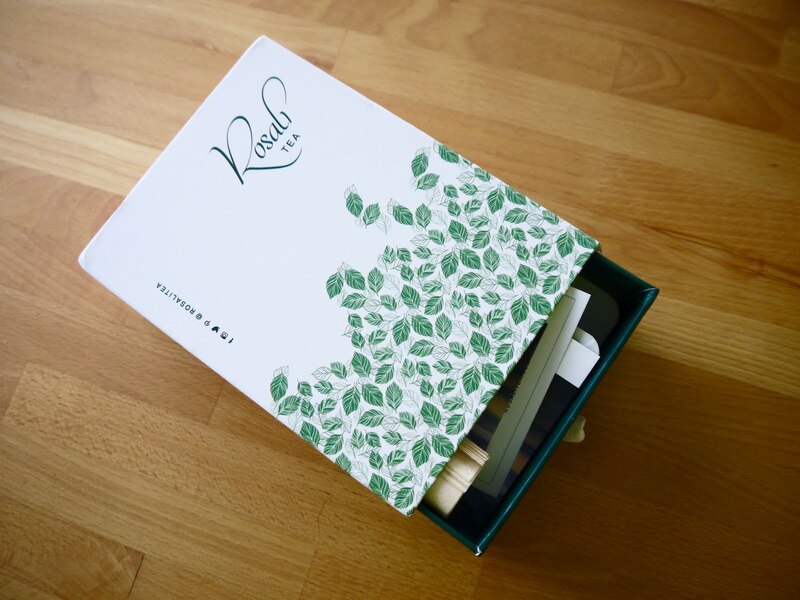 Rosali Tea is a lovely company with a fantastic concept. 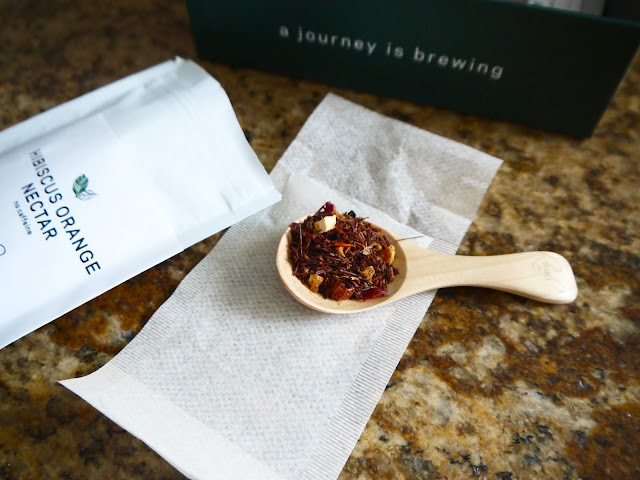 New varieties and flavors of teas delivered to your door monthly. Need a gift for mom? Look no further. Want to reward yourself for kicking that diet soda habit? This would be perfect. 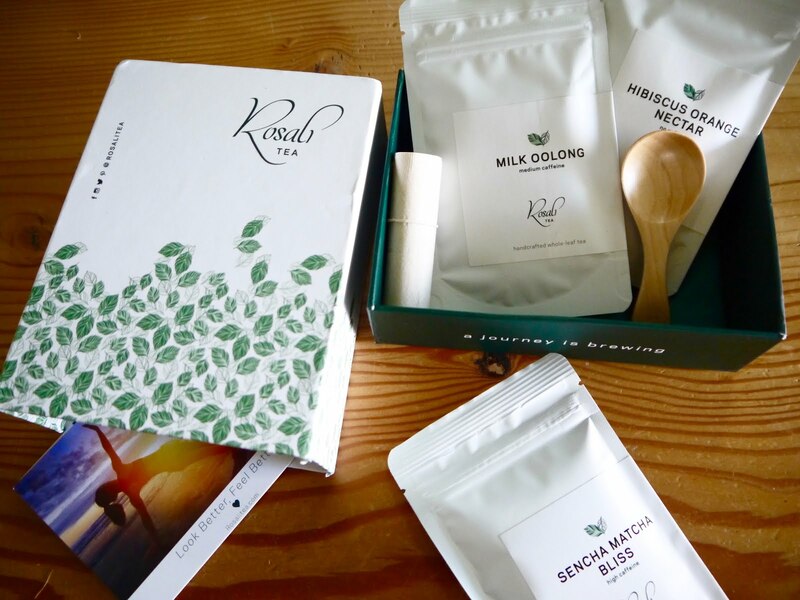 On their website, you fill out a short survey about your (or your gift recipient's) tea-drinking tendencies, they create a special box based on your tea-drinking frequency and preferences, and they ship it to you (or them) monthly (new varieties each month)! You can cancel your shipments at any time, and shipping is FREE. Prices start at just $14.99/month (that's literally less than $1 per cup). Each box has three premium teas, tea filters, and tips for steeping time/water temperature/ etc for each tea (I had NO idea that this differed from tea to tea). And the tea is fantastic. And you can use the code (exclusive to Eighty Twenty readers) LG20 for 20% off of your subscription! 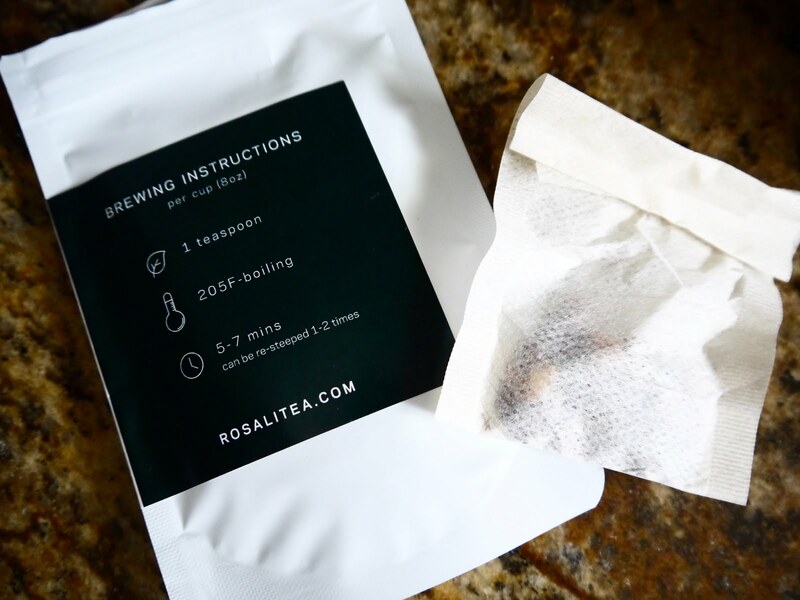 This review was sponsored by Rosali Tea, however the opinions are my own. Here is my second post utilizing the "magic" spice tumeric! This spice is becoming known as a true anti-inflammatory super power! Tumeric is bright orange in color and is an ingredient in curry. It has a mild, nutty flavor. Some studies are showing that tumeric may help to prevent some cancers (in epidemiological studies) and may reduce cancer cell growth in already existing tumors. That's big news for a spice! In a large soup pot, heat oil over medium-high heat. Add onion and garlic and sauce until lightly browned. Add broth, squash, and tumeric. Bring to a boil, then reduce heat to a simmer. Cook for ~ 30 minutes, or until squash is soft. 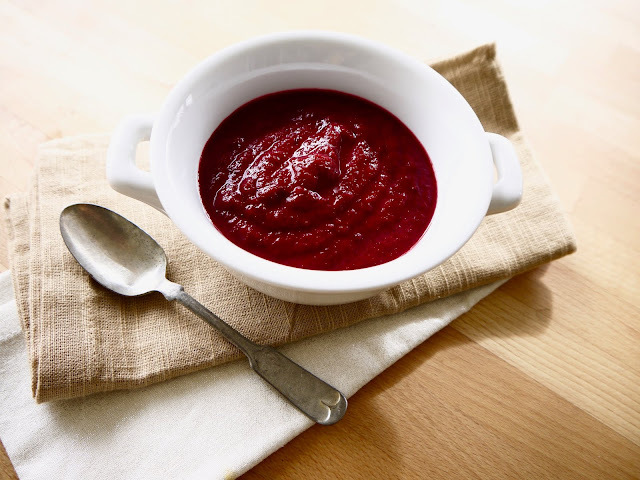 Use an immersion blender to puree until smooth, or alternatively, transfer small batches to a blender and puree until smooth. Sprinkle with additional tumeric and pepper, if desired. Serve immediately! There is loads of new research on tumeric, and it's becoming known as a true anti-inflammatory super power! If you're not familiar with this spice, it is bright orange in color and is an ingredient in curry. It has a mild, nutty flavor. Over the next two weeks I will give you two new tumeric recipes to help you to increase your intake! Combine all ingredients in a saucepan. Bring to a boil, then cover and reduce heat to a simmer. Cook for ~30 minutes, or until rice is tender and liquid has been absorbed. Serve as a side to grilled tofu, vegetables, or chicken! Confession: we eat a lot of pizza in this house (homemade pizza that is). So I'm constantly looking for ways to health-ify it. Use a bean puree as your pizza sauce and you have added plant protein and fiber to your meal without much effort (and without freaking out the toddlers in your home). Blend all ingredients in a large food processor until smooth. 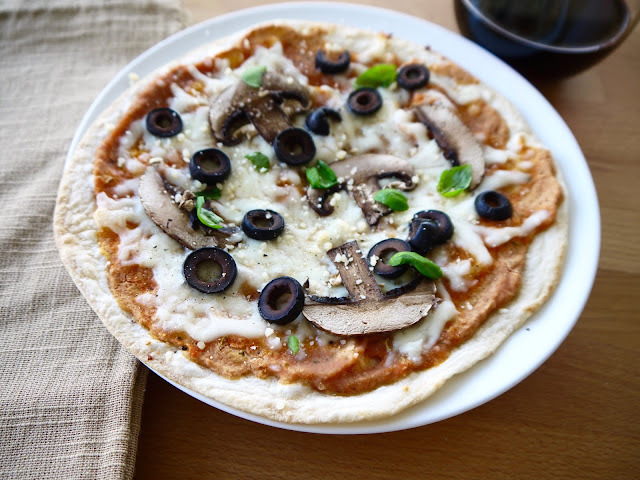 Use as you would any other pizza sauce, layering heavily if using uncooked crust to prevent it from drying out.